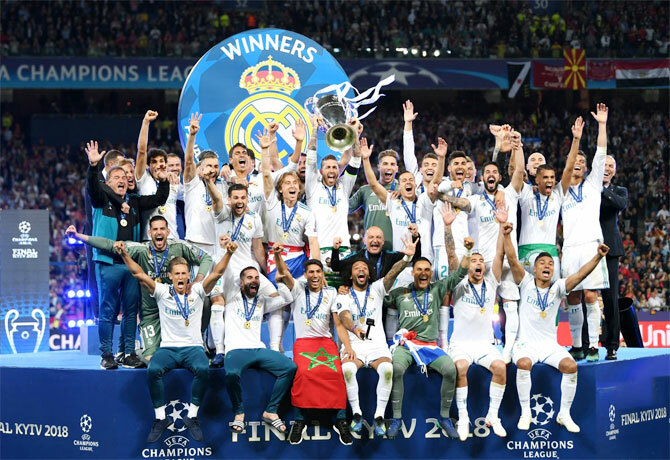 Real Madrid and Barcelona were the highest earning clubs in European football last season, knocking Manchester United off top spot, according to the latest Deloitte ‘Football Money League’ published on Thursday. “This has enabled the club to continue to drive commercial revenue as the appetite to partner with Europe’s most successful clubs remains stronger than ever,” he added. Manchester United, who topped last year’s table, saw their revenue calculation fall slightly to 666 million euros from 676.3 million but they are one of a record six Premier League teams in top 10. Football finance expert Rob Wilson, of Sheffield Hallam University, said United’s drop to third in the rankings was expected. “This was predictable mainly due to the timing of commercial and sponsorship renewals. The big ticket items; shirt manufacturing and shirt sponsorship being renewed and improving the overall position of a number of clubs. United’s position was also affected by exchange rates as their actual revenue measured in pounds sterling rose slightly from 581.2 million to 590 million.